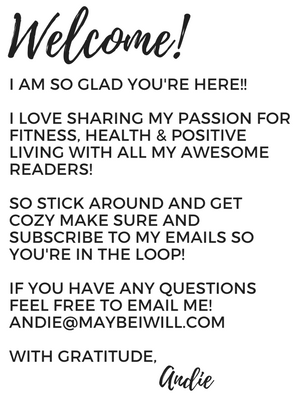 You are here: Home / Healthy Living / Andie's Life / Holy Hannah, I am 39!? Holy Hannah, I am 39!? 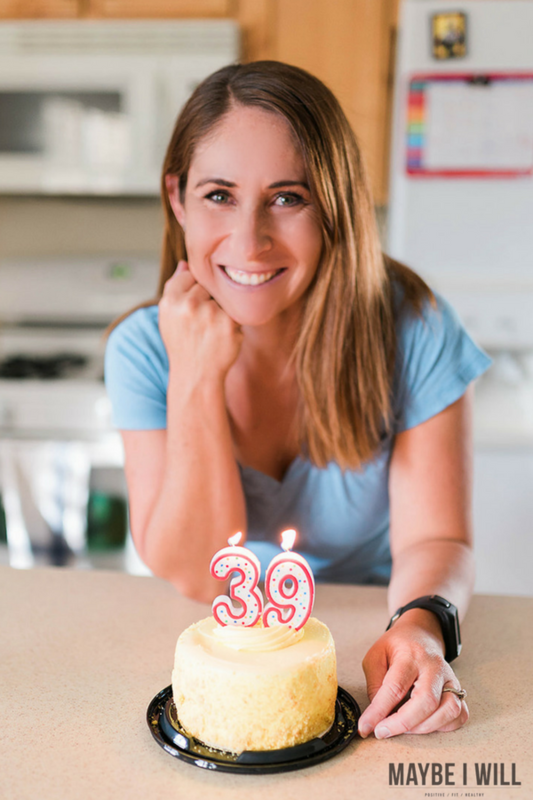 This past month, I turned 39. Marking this my last year that I can say “I’m in my thirties” without lying. My thirties have been an incredible learning experience. 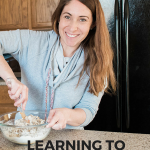 In my thirties I have faced infertility, heartbreaking miscarriages, lost jobs, faced the demons from my past and learned to forgive and let go, broken arms, started a blog, started an Instagram growth business, lost over 30 lbs, gained some back, was diagnosed with PCOS, managed to survive living in separate states from my husband not once but twice, moved 5 times and lived in 3 states, ran my first half marathon, got my certification as a personal trainer and fitness nutrition specialist, learned to box, and most importantly I have learned to really love who I am and embrace the woman God created me to be. Some of these challenges could have broken me, and at times while I was going through them, I thought they just might. But I have learned I am one tough gal. I have learned that even in the midst of challenges I am not alone and that the Universe (a.k.a. my Heavenly Father) always has my best interests at heart. So as I look forward I am genuinely excited to see what my forties have in store for me. Vera Wang didn’t become a designer until she was 40. Julia Child didn’t write her first cookbook until she was 50 ( so really I have loads of time). Lynda Weinman founded Lynda.com at age 40 which was recently acquired by LinkedIn for 1.5 BILLION dollars. Viola Davis didn’t rise to fame until she starred in The Help at age 43. Jane Lynch didn’t start getting breakout roles until she was into her 40’s. See, just because one decade of my life is ending, doesn’t mean that I can’t run full force into an exciting new era! 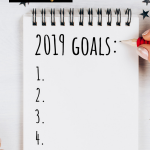 So to kick off the last year of my thirties and get myself raring to embrace my forties at full force I decided to give myself some challenges and goals to hit before I hit the big 4-0 on 7/5/19. And to keep me on track and completely accountable to actually do the stuff I say I am going to do, I am sharing it all with you. I’ll be updating you on my progress as the year progresses. So stick with me, cheer me on, pray for me, even join me on my challenges. I would love to see others jump on board. Any others born in ‘79? So taking a deep breath and being super vulnerable. Here we go. Run a marathon – I have done half marathons but those were a while back and I am not in what I would refer to as “running” shape. I can run a couple miles no big deal, but anything beyond that will definitely be a challenge. Lose the weight I gained from PCOS. 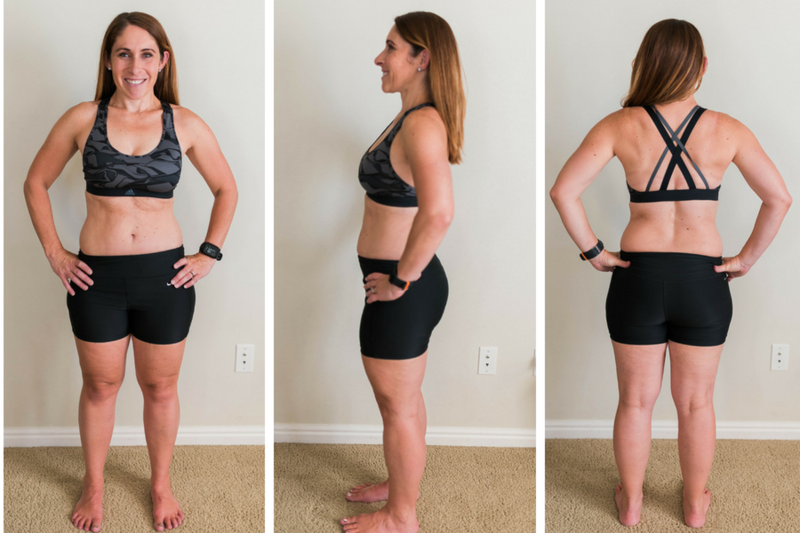 – I will beat this thing and figure out my body and what works! 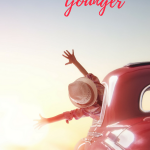 Build my Instagram Growth business up to at least 500 clients – This is a BIG one and will take a lot of work – but I really do love helping people grow their accounts. So stay posted as I move beyond working on a referral basis only to launching a site and actually marketing it to the world – SCARY! Buy a House: The past 4 years have become what I will not so fondly refer to as the “rental” years. Like I mentioned previously we have moved a lot and I am excited to finally buy a home that is mine. If I don’t like the paint, I can change the color. If we want to do a remodel or updating project, we can! I can firmly attest to the fact that I am not a renter. I am a homeowner and I miss it dearly. So goals are to keep saving up our nest egg and finding the perfect home for our family in a place we will be at for a while. Continue to grow Maybe I Will. I created Maybe I Will to be a resource and a lighthouse to help people live their best lives. I get it. Living a positive life and trying to be fit and healthy is tricky. 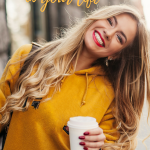 But I know that by really learning to love yourself, embracing the chaos and learning to forgive, miracles can happen and you can find true happiness and joy in your life. That is my “why” and the reason I show up everyday writing and creating! So dang it 40, I am coming for you! I’ve got this…I hope, fingers and toes crossed. And before we part I am sharing my “this is me” before pic. This is me before I attempt to tackle the world and the 15lbs I have gained as a result of PCOS and insulin resistance that is now my life. P.S. I love my body and I am so grateful for it, but I also know that by tackling this challenge and figuring out what works for my body, my overall health and wellness will improve and the other side effects such as tiredness and mental fog will subside as well. Let’s do this! 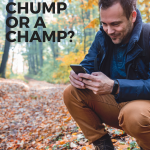 Are you a Chump or a Champ?! 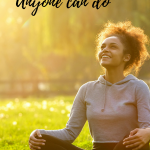 5 Simple Meditations Anyone Can Do! « 50 Creative And Fun Ways To Get Your Kids Moving! You look so gorgeous! I really love your healthy lifestyle! What a great set of goals! Good luck, lady!